We went on holiday this week and decided to continue our coastal walking overseas. 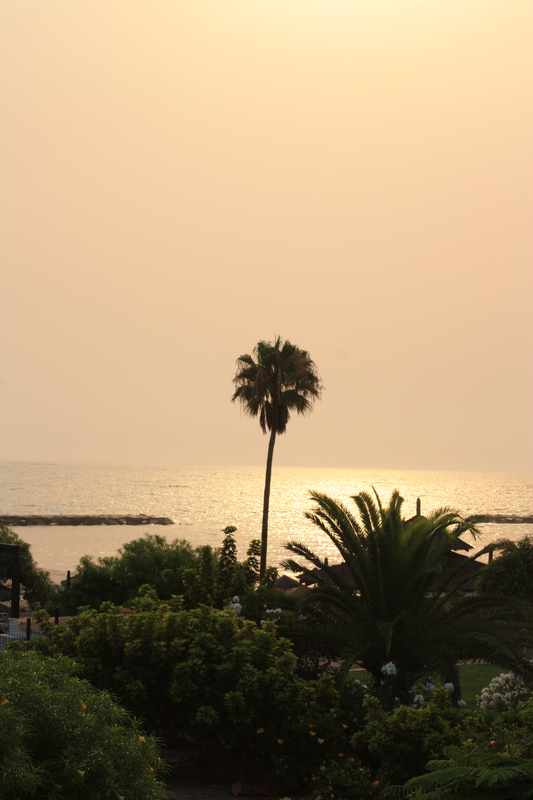 We were in Costa Adeje (pronounced Adeckee), a resort in the southwest of Tenerife. Our walk today was a short one, starting outside our hotel, heading north up the coast for a spot of lunch, and back again. 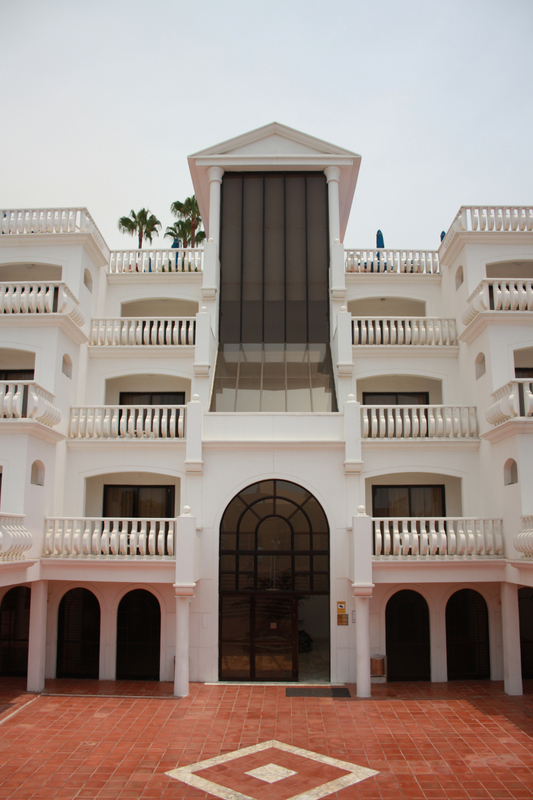 We left our hotel, the Guayarmina Princess, which was in the middle of the resort. It is touristy here. 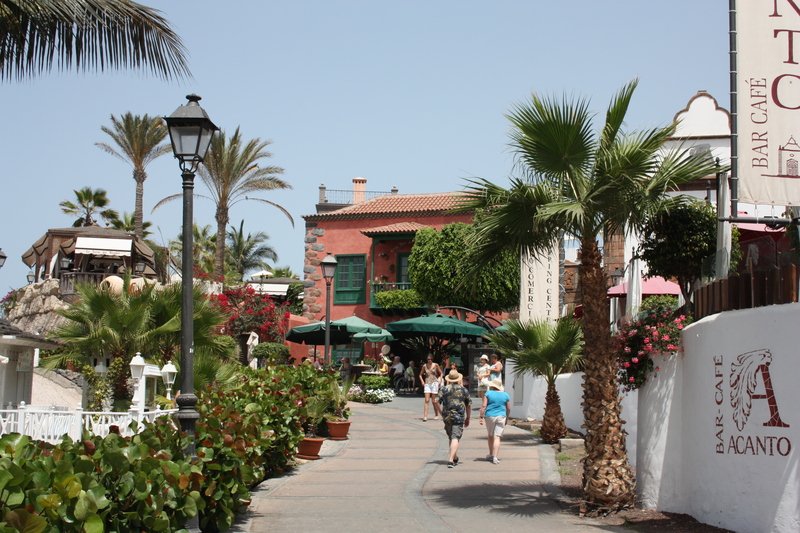 The beach promenade is lined with restaurants and shops, half of which seem to be owned by the British. English and Scottish restaurant pimps stood outside their bars, holding menus and promising great English cuisine and cheap beer. These menus were in several European languages but English tended to come first and Spanish last. We walked on. The beach here is the Playa de Fanabe. 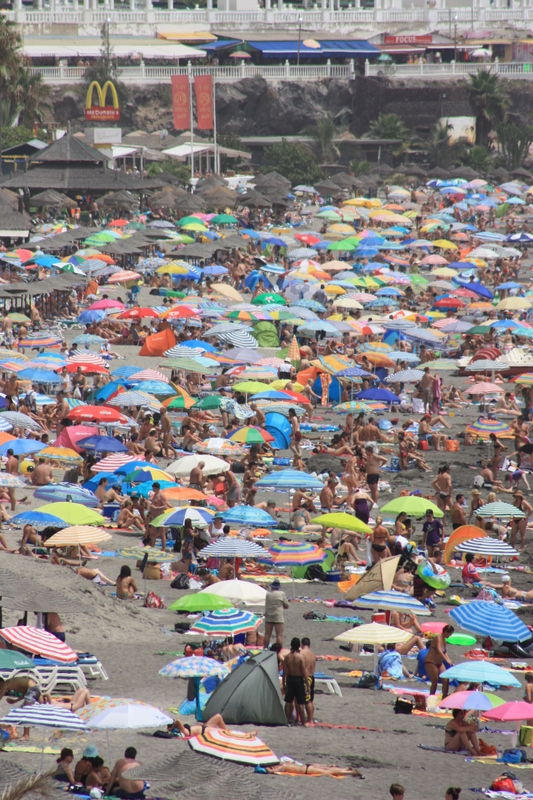 It is a natural beach, of black volcanic sand (other beaches have golden sand imported). 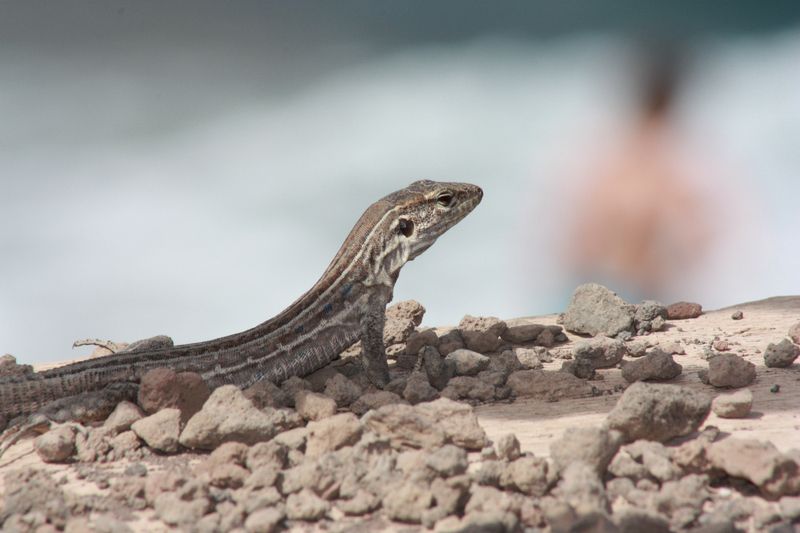 The promenade alongside it was lined with dry stone walls, and we saw plenty of lizards darting in and out of the gaps. 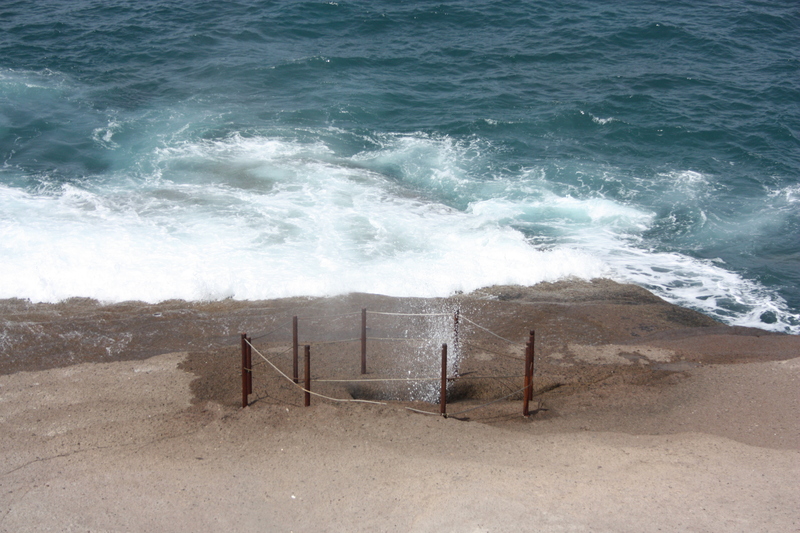 Just to the north of Playa de Fanabe is a small promontory with a water spout. It was not particularly active on our walk today, but in past trips here we have seen it at its most impressive, with water shooting 30 feet or so into the air. Beyond is another promontory. Sat on this is an impressive grey stone residence called Casa Puch. It is gated, private, well kept and obviously belongs to someone with money. Rumours tell that it was once a gift from Richard Burton to Elizabeth Taylor. Certainly they had property in Tenerife and there are several places named after Elizabeth Taylor. A more probable rumour, however, is that it is owned by one of the islands’ wealthiest businessmen. Beyond the promontory the four star hotels gave way to five stars. The terraced concrete blocks of shops and restaurants became buildings of a more traditional and picturesque style. The street traders disappeared. The ice creams became grander! This was the Plaza del Duque. It was around here that in previous years we saw the “mud men”, human statues wearing shabby clothes covered in mud. If a coin was deposited into the tin at their feet these statues came alive, thanked their benefactor, and then settled back into statue form again. 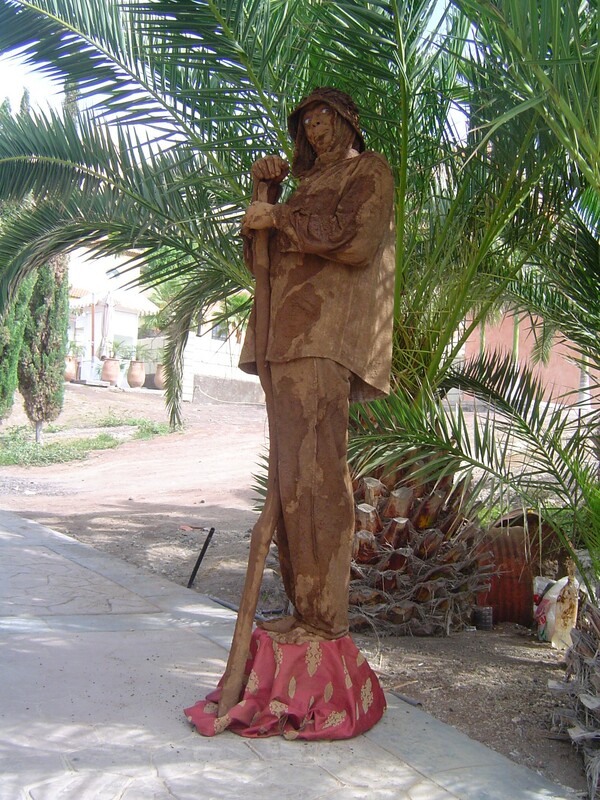 You can see this type of thing all over the world, but for us the mud men were always a bit special. The mud gives an authenticity that silver paint and the like doesn’t. I don’t know why they weren’t there this year. Perhaps the recession had moved them on. Despite the popularity of Tenerife as a tourist attraction, we were told by people we spoke to that the tourists were staying in their hotels. Money wasn’t being spent. Shops were closing. Crime was on the increase. We were told that unemployment was now up to 25% in Tenerife, and it was even worse in some of the other Canary Islands. Sorry not to see the mud men, we moved on. 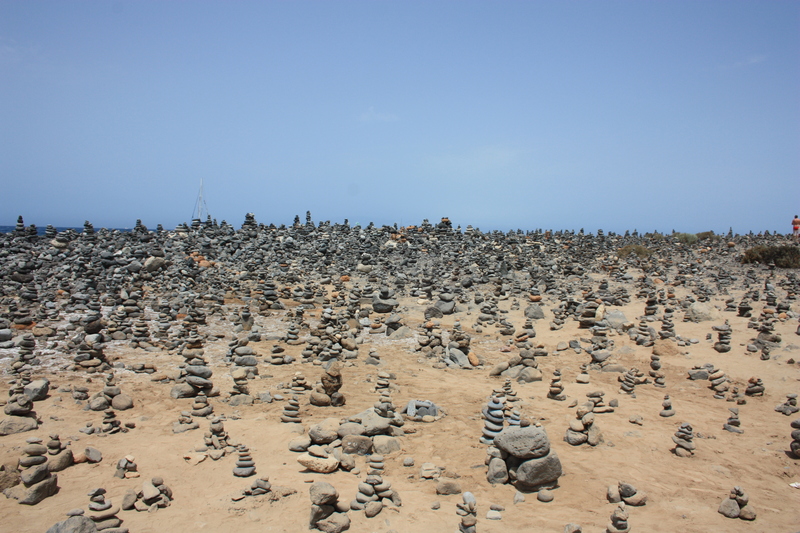 We passed another two beaches and then came across an eerie sight: hundreds of little towers, built on a quiet shoreline out of rocks and pebbles. These had been built individually and are added to constantly by people who come across them. Two beaches later, we reached the outskirts of La Caleta, a small town on the outskirts of the resort. La Caleta is still a tourist destination, but much quieter. Here, the waiters speak Spanish first, though are fluent in other languages if required. There are no restaurant pimps trying to pull people in. The food is more traditional and the menus tend to be dominated by fish. 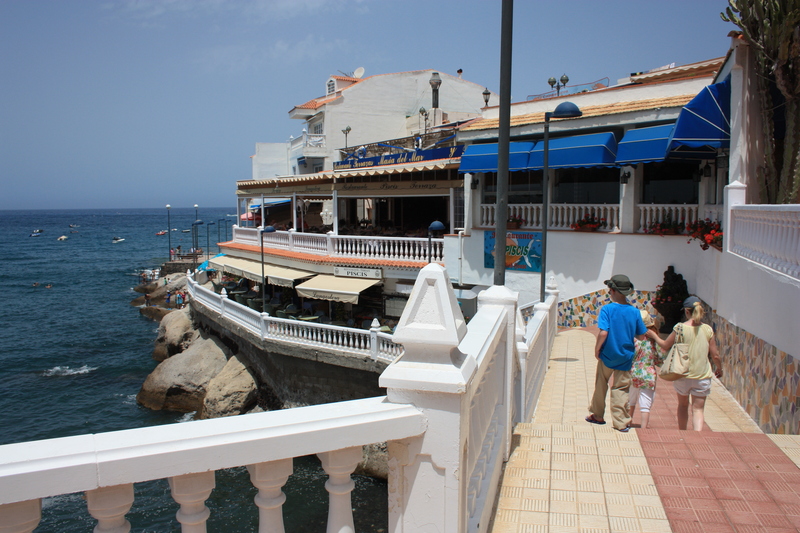 La Caleta is built on a rocky outcrop, right on the sea. To the north are only arid hills. Restaurants line the shore, but are above sea level by some feet. Crabs cling to the walls and scurry over the rocks. We stayed for lunch, then turned around and headed back. As we made our way back to the hotel, so the tourist numbers rose again. The street traders re-appeared. The restaurant pimps came up to us and tried to entice us to stop and eat. As we rounded the waterspout we were greeted by a multitude of coloured beach umbrellas, and standing proud of these (in both senses of the word) were the golden arches of a McDonald’s restaurant. That night the hills surrounding Adeje were tinged with orange. A forest fire had broken out, started accidentally by a farmer’s bonfire. Over the next few days two homes were destroyed and over 2,000 people evacuated from the hills. Helicopters and aeroplanes carried water from the sea to pour over the fires. Five days later, the military had been called in from the mainland, and 300 soldiers were helping the firefighters. By the time we flew back home, the fire was under control. It was good to do a little coastal walk in Tenerife – but we are looking forward to getting back to our real endeavour. 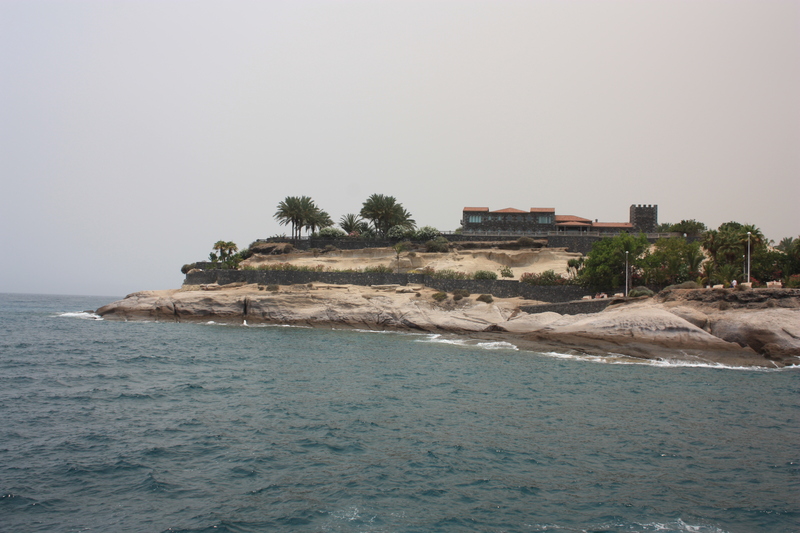 This entry was posted in Canary Islands and tagged coast, Costa Adeje, La Caleta, lizard, Tenerife, travel, walking. Bookmark the permalink. You too. The Teide we shell visit next time.